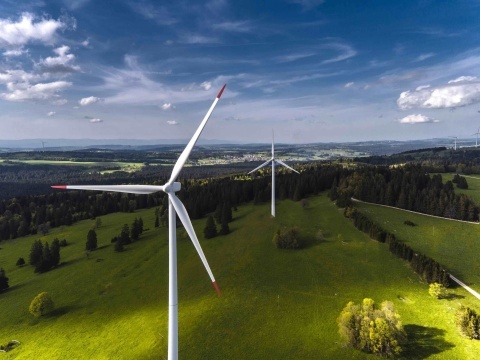 CONQUEST Asset Management (“CONQUEST”) announced it completed, on behalf of the Sustainable Infrastructure fund it manages, the acquisition of a 12MW greenfield on-shore wind park in France. The transaction was closed after an exclusive agreement with the industrial group Acciona-Nordex (ETR:NDX1), a leading global wind turbines manufacturer and project developer, had been reached prior to the construction of the assets. The on-shore wind park represents a total of 12 MW additional renewable power capacity located in France, and benefits from a 15-year contract for difference scheme, providing secured and inflation linked revenues from the local incumbent utility EDF. With strong transformations at work in the sector, such as energy transition, digitalization and an accelerated shift to more distributed energy, CONQUEST investment and operational team is entrusted by Tier 1 industrial players and asset developers to have the capabilities of partnering very early in the assets development cycle and thus of contributing to crafting well balanced risk/reward projects. These investment opportunities mirror the fund’s investment strategy with a diversified array of assets (renewables, energy storage, transmission & distribution, and energy efficiency) with the objective of serving long-term superior returns to institutional investors via less correlated, inflation-linked assets while addressing their sustainable finance targets. About CONQUEST: CONQUEST Asset Management is part of CONQUEST Group, an independent investment management and financial advisory firm with significant expertise in a broad range of international transactions and strategic situations. Institutional investors and corporate clients trust CONQUEST to provide thoughtful, custom-tailored strategies and solutions that help drive and deliver their core and long-term financial goals. Its investment approach boils down to bridging investment opportunities with long-term income objectives, and thus implies Trust with its investors and partners, earned thanks to team alignment and dedication in their best interests.